Once flag football was a serious thing for the college boys of Pierce College. Games were played regularly between clubs. 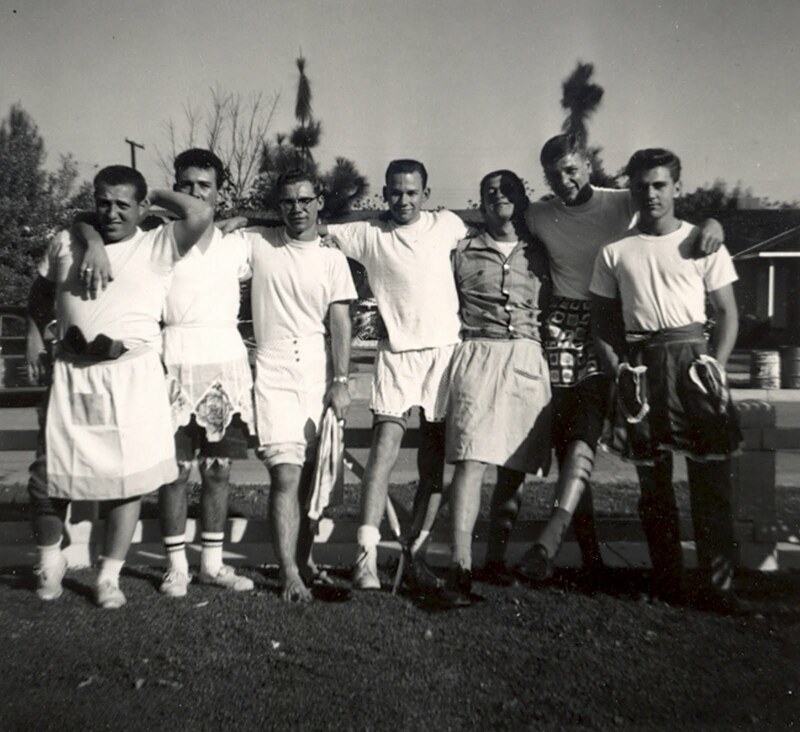 Matches between the fraternities, and in the case of this photograph between chapters of the local Fraternity Phi Delta Psi were serious matters. Few people came to watch the games, but that mattered little. What did matter was the experience. The best game that I saw at Pierce was played right after it rained. The Fraternity boys were covered in mud, shirts torn, a black eye and even a dislocated shoulder. On the way to the emergency hospital, the fellow with the damaged shoulder said to me that he had "never had so much fun in his life". Gift to The Museum of the San Fernando Valley from Jerry Berns 2009 - refer to photo number 2829 - click on image to enlarge.